This is a beautiful arrangement, perfect to brighten someone's day or express your gratitude. 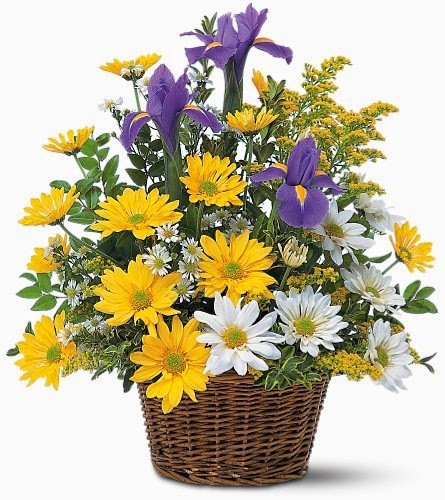 Our Smiling Floral Basket features an assortment of yellow daisies and white daisies, with touches of Solidaster and beautiful Iris, arranged in a lovely wicker basket. Bloomex offers a wide variety of planter baskets and bouquets fit for every occasion. Check out our Twitter feed for daily suggestions. A new bouquet - Make a Wish!